Matches nicely with the three ringed Deschaux rapier. 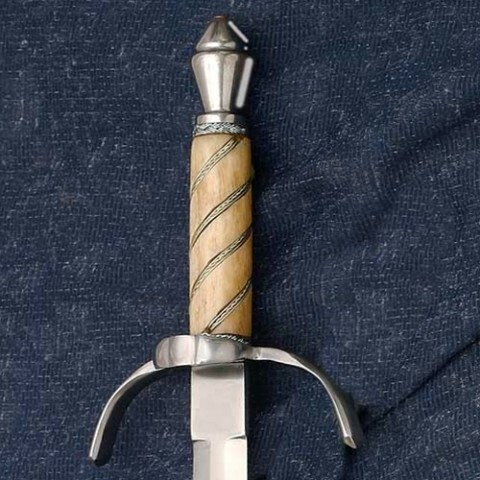 Known as the Left Hand or ‘Ring Hilt’ dagger. Often worn on the back tilting to the left for easy access. Parts are steel and the bone grip is wrapped in wire for a good grasp. Bone handle may vary in colour (white to tan) as it is a natural material. Purchase a belt and dagger back hanger to complete your accessories.